Another great Anne of Green Gables story! Anne Shirley is one of my favorite literary characters. Her strength comes from her ability to rebound from mistakes, and even though she's matured greatly since the previous book, she still has difficulties. Marilla and Anne have reached a level playing field, and they look at each other as equals rather than guardian-and-adoptee. 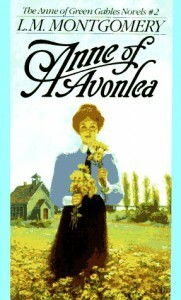 Anne becomes a teacher and, despite some misbehaving students, an authority figure in Avonlea. Anne still charms outsiders--this time her disgruntled neighbor takes center stage--and makes new friendships throughout the island. One excellent aspect of this book: the romance. Other authors, take heed! 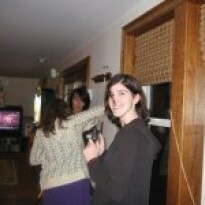 Montgomery doesn't focus on Gilbert and Anne. In fact, she barely puts them together at all. They work on the group society together, and they have such natural rapport, but there isn't any distracting romantic tension. This is Anne's story, and while Gilbert and her develop an interesting relationship, her life doesn't revolve around him. In the final pages of the novel, Gilbert takes a brave step forward and hints at his interest. It was so brilliantly foreshadowed; it snuck up on the story, and completely one me over. If it does blossom (hopefully), I appreciate how subtly it came about.